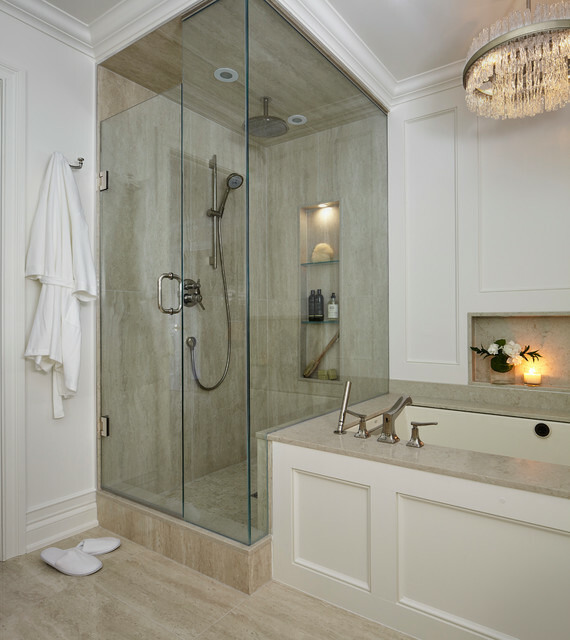 Valley Close Renovation - Di transizione - Stanza da Bagno - Toronto - di Darlene Shaw Design Inc. Elegant ensuite bath installed by Concept Kitchen and Bath. Photo courtesy of Kwest Images. Like the detail around the tub.